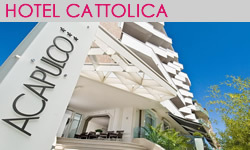 www.cattolica.acapulcohotel.it, or by third party domains. According to the regulation in force, www.cattolica.acapulcohotel.it does not need to ask permission for technical and analytics cookies, as these are necessary to supply the services required. www.cattolica.acapulcohotel.it contains links to other Web sites that have their own privacy notice and may apply different policies: www.cattolica.acapulcohotel.it does not answer for these sites.